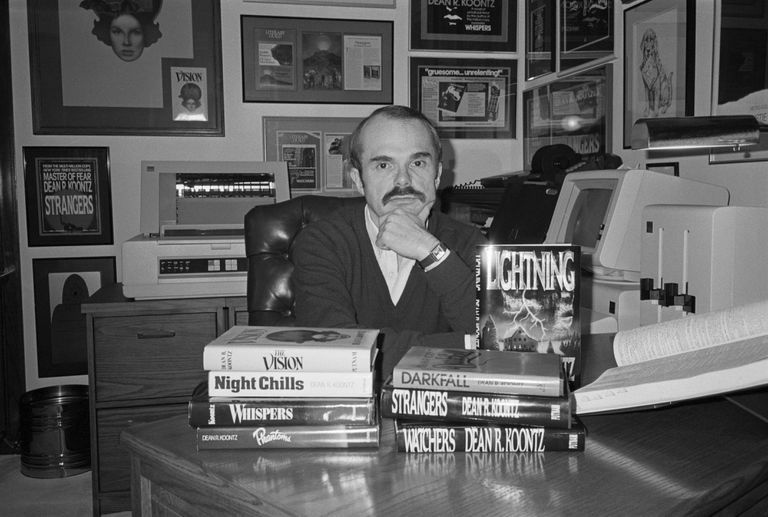 Dean Koontz went from being the quintessential struggling writer to dominating the suspense thriller genre with works in the fields of horror, fantasy, science fiction, and mystery. He was hardly an overnight success, but his long list of works is evidence of his popularity and longevity. In time, many of his novels were released as big-screen movies. Koontz has been publishing books, stories, novellas, comics, and graphic novels for six decades, using his own name and the pseudonyms K.R. Dwyer, Aaron Wolfe, Brian Coffey, Leigh Nichols, Owen West, Richard Paige, Deanna Dwyer, Leonard Chris, and David Axton. Here is a complete list of Dean Koontz's books and writings under his name and all his pseudonyms by year. Much of Koontz's early work was in the form of short fiction. He wrote evenings and weekends while working as an English teacher. 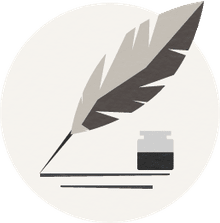 When his wife offered to support him for five years while he tried to make a go of being a writer, he was free to kick-start what would become a long and impressive career. 1969 - "Fear That Man"
1969 - "The Fall of the Dream Machine"
The '70s were formative years for Koontz as he experimented with different genres. His first formal recognition of success came with a Hugo nomination for his novel "Beastchild." 1970 - "Dark of the Woods"
1971 - "The Crimson Witch"
1972 - "A Darkness in My Soul"
1972 - "The Flesh in the Furnace"
1972 - "The Terrible Weapon"
1973 - "A Werewolf Among Us"
1973 - "The Haunted Earth"
1974 - "After the Last Race"
Comfortably established in a style The New York Times called "psychologically complex, masterly and satisfying," Koontz saw "Whispers" become his first paperback bestseller in 1980. The prolific Koontz, who says he works 60 to 70 hours a week, continued to turn out suspenseful books. "The Bad Place" and "Hideaway" reached No. 1 on the New York Times bestseller list in this decade. 1990 - "The Bad Place"
1994 - "Dark Rivers of the Heart"
1998 - "Seize the Night"
By this time, Koontz novels were frequently on the bestseller lists, but the introduction of a new character, Odd Thomas, kicked off one of his most popular creations and series of books, Few central characters capture the hearts of readers like Odd Thomas, the unassuming short-order cook with clairvoyant abilities. 2000 - "From the Corner of His Eye"
2001 - "One Door Away from Heaven"
2002 - "By the Light of the Moon"
2007 - "The Good Guy"
2007 - "The Darkest Evening of the Year"
2008 - "In Odd We Trust"
2009 - "A Big Little Life: A Memoir of a Joyful Dog Named Trixie"
2009 - "I, Trixie, Who Is Dog"
Responding to the wishes of his readers, Koontz turned out several more Odd Thomas novels, as well as a digital series and a graphic novel based on the popular character, in addition to other work. Toward the end of the decade, Dean Koontz stated he fell in love with a new character, Jane Hawk, in "The Silent Corner" and anticipates several novels featuring the new character. 2010 - "Odd Is on Our Side"
2010 - "Trixie & Jinx"
2010 - "What the Night Knows"
2010 - "Frankenstein: Lost Souls"
2011 - "Frankenstein: The Dead Town"
2011 - "77 Shadow Street"
2014 - "Ask Anna: Advice for the Furry and Forlorn"
2017 -​ "The Silent Corner"